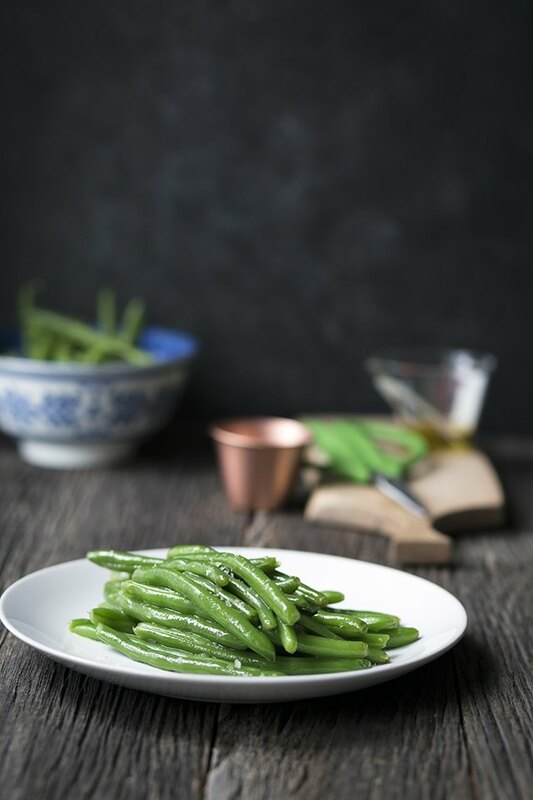 Green beans refer to a variety of fresh beans such as haricot verts, string beans, romano beans, and wax beans. All of them can be enjoyed raw, or cooked with a simple preparation that makes for a healthy, flavorful side dish. There are numerous cooking methods that will work with green beans. They can be simmered, steamed, stir-fried, braised, or even microwaved. Simmering is an excellent, foolproof way to achieve consistent results. 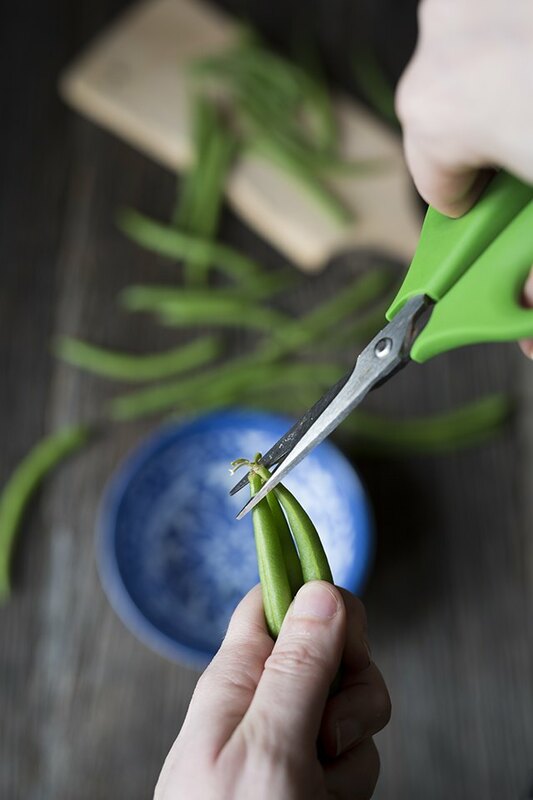 Purchase green beans that snap instead of bending when folded in half. Use as soon as possible after purchasing to maximize freshness. Since this is not so much a recipe as it is a cooking technique, the quantity of green beans can be adjusted based on the number of people being served. 1 cup of vegetables per person is usually a reasonable amount for a side dish. Fill a large pot of water and bring it to a simmer. Place the colander in the sink. Kitchen sheers are a great way to quickly remove the stems from the beans. A regular chef's knife will also work fine. Once the water reaches a simmer, add the green beans and cook for approximately 4 to 5 minutes. The time may vary depending on how many beans are cooking and how tender or toothsome you prefer your vegetables. Green beans can be enjoyed either crisp-tender or soft. As with pasta, the best way to check for doneness is to taste as you cook. 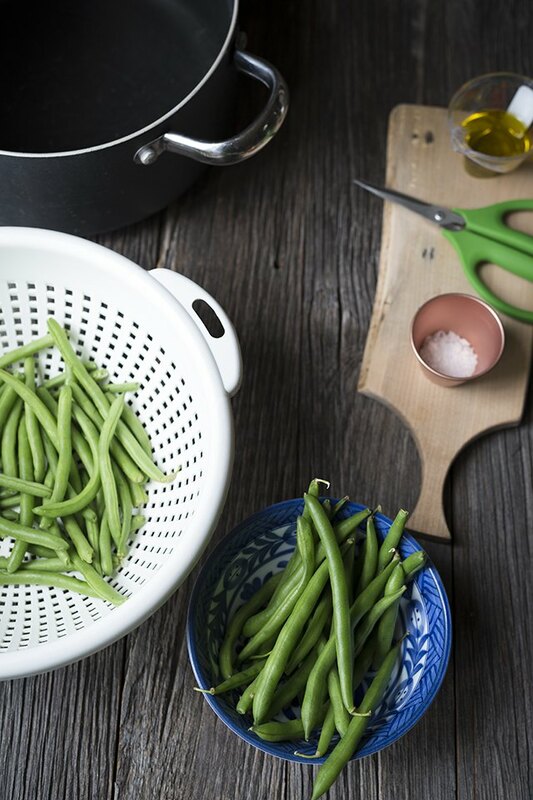 Once the green beans have reached their desired texture, drain the water through the colander. 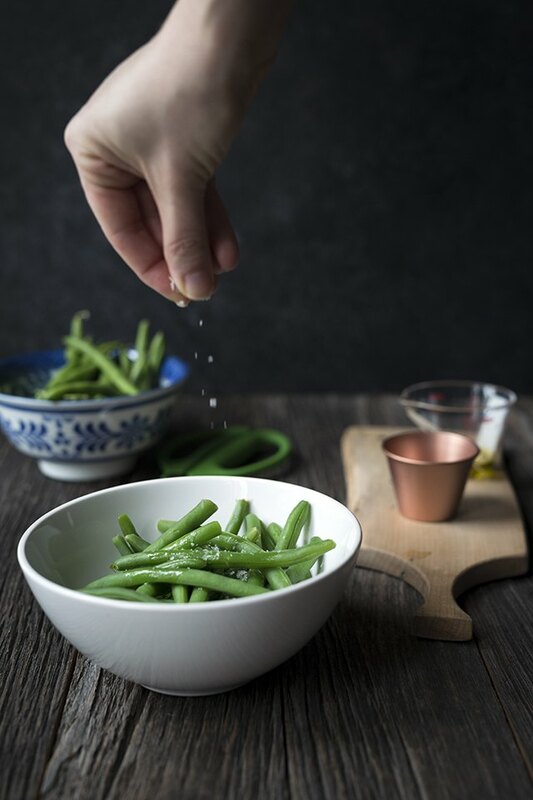 This step is technically optional, but tossing the green beans with a light drizzle of olive oil or melted butter and a sprinkle of salt and pepper will add a tremendous amount of flavor.